No two issues are the same! Patrick graduated from York College of Pennsylvania with a B.S. in Finance, minoring in Accounting. Patrick settled in Arlington, Virginia, and started work as an Analyst for a public finance advisory firm based in Philadelphia, Public Financial Management (PFM). During his tenure with PFM, Patrick was promoted to Senior Analyst and provided municipal governments, authorities and public utilities with Capital Markets Advisory Services for structuring tax-exempt and taxable general obligation bonds, revenue bonds, loans and variable rate debt. Patrick joined HJ Sims in 2015 as Senior Associate, and has since been promoted to Assistant Vice President. Patrick’s work at HJ Sims is focused on financing execution within the not-for-profit investment banking team, specializing in analytical support for structuring and modeling. 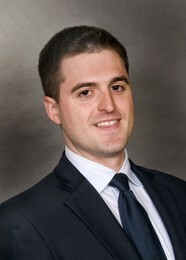 Patrick also assists with research, credit analysis, requests for proposals and financing losings. His work is concentrated in the Mid-Atlantic region, yet he lends his structuring and modeling expertise to specialty projects around the nation. While at Sims, Patrick has worked on over 40 debt issuances, totaling over $1.30 billion par over a three-year span. During his time with PFM, Patrick advised on 46 debt issuances, totaling $2.4 billion par. Patrick has a passion and unorthodox approach to solving puzzles and detecting patterns; he rises to the challenge while ultimately, discovering solutions. Patrick is proud when he sees the projects with which he is involved come to completion – from a vacant parcel of land to a building. Patrick explains that his passion for these projects within his community connects him to his past and present life – coming full circle – which is his ultimate reward for what he does. Integrating his work and personal life, Patrick often bikes through the neighborhoods where the communities for which he has assisted with financing are located. Patrick is a native of Gaithersburg, Maryland, and he enjoys living in Washington, D.C. – though he admits he is not much for politics!